It’s hard to conceive a life without laughter, and that’s particularly important to those in sober living homes. The team at GateHouse Sober Community understands that we must deal with many of our negative emotions during recovery and it can impede on our happiness while working through these problems. For that reason alone, we can think of three important reasons recovery needs laughter. Recovery is a journey where we face our demons and struggles but is also an opportunity to admire and enjoy the great parts of our lives, as well. Life requires a balance between the two, and when we can laugh and enjoy ourselves, we can keep our sanity and remember it’s important to be happy. When someone enters a sober living community in New Hampshire, they are choosing the importance of life over their addiction. Life is delicate and beautiful, and that should always be celebrated, especially when we treat ourselves well. That includes enjoying it as much as we possibly can. If there is one thing we cannot stress enough about the recovery process, it’s that the intention isn’t to penalize those in it. Recovery offers participants a new, healthy way of life that allows them to live independently from their addiction, work through problem areas, and enjoy the clarity and pride that comes with sobriety. 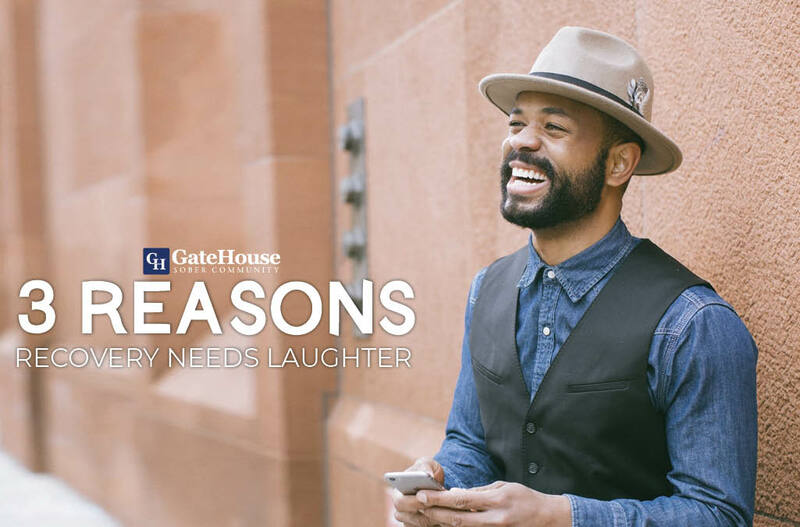 Fortunately, choosing a sober living community like GateHouse means receiving the emotional support you need to bring laughter into your life. We want every one of our participants to leave us with the positive outlook on life necessary to make strides towards a better future, which includes a few laughs along the way. With more questions about our program, call us today at (855) 448-3638.